Digimon is an exciting adventurous free card battle game that is available for PC in windows 7/8/8.1/10XP which is played using cards to fight battles; it was released by The Bandai Namco Entertainment American Inc. 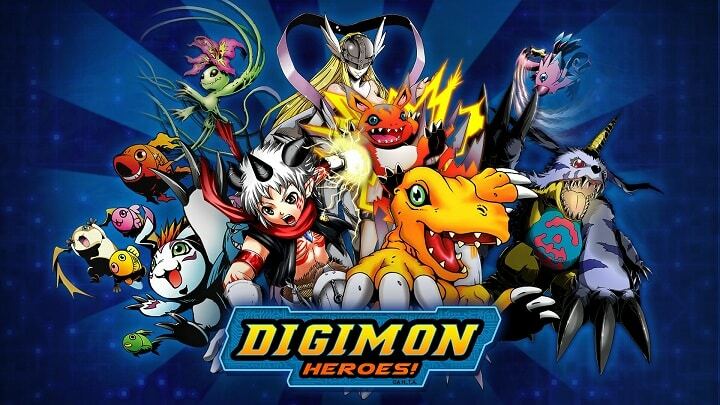 This game is simply played by building your strong solid team of Digimons who are all special in their own way and lead them to battle with your enemies the Devimons, with the goal of helping Angewomon who in return will be helping and guiding you all the way through the battle. You should note that before you start playing, balance the monsters that you have on your Digimon team by having one of the colored element such as fire, water, holy, plant and dark. This is to enable you to be able to launch an attack given any card you pair with, apart from the brown card. To add on to that you should learn to choose an enemy before you go to attack them this will help you in your battle. Another important tip is that while playing you should make use of the wild cards which drops as you are playing, they are very powerful when you use them to attack your enemy on the battle. Easy and well strategic action. In order to devastate your enemies, you need to form chains by matching the command chains strategically to destroy your enemies. Select your preferred favorite Digimon. There are over 1000 common and legendary Digimon to choose from. Limit break, diffuse and digivolve. Strengthen the Digimon who has just joined your team by digifusing to give your team more power and digivolve them to stronger forms and unleash all their potential by breaking their limit. Special events and great epic battles. Take your team to great limits with the epic events and trials by fighting through the File Island. Finally, the game is quite simple to understand and once you know how to play it is very engaging and fun. 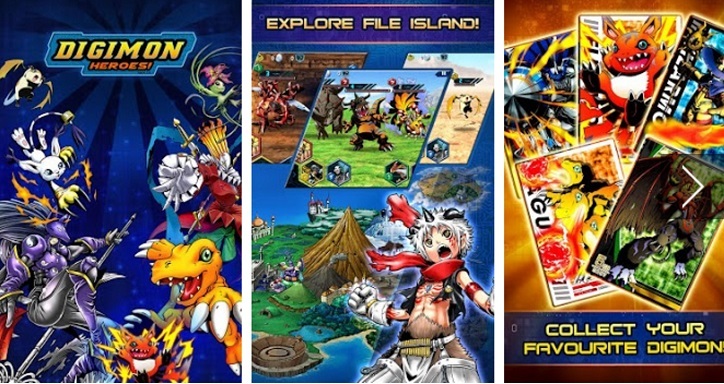 Warning: Digimon Heroes servers shutted down and is removed from Google and iOS App Stores in 31 Dec 2017! Sometimes when playing Digimon Heroes, bluestacks ask you fee to pay but gives you option to download some apps. Every time it asks you just select “Install apps” and continue using it free. I hope you enjoyed this guide, please rate and share. 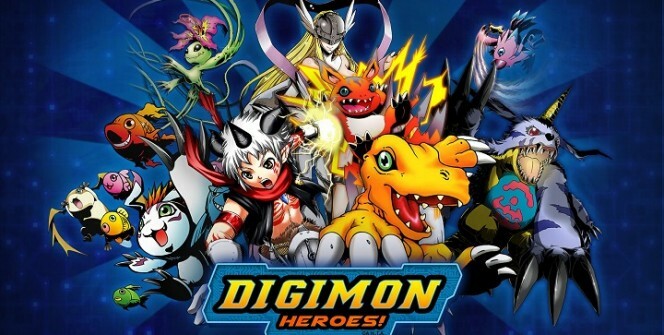 If you have problems running Digimon Heroes on desktop or any other issues, leave a comment below.